Moth Speaker: You're never, ever, ever, ever there. You're never, ever, ever, ever there. You are so beautiful! 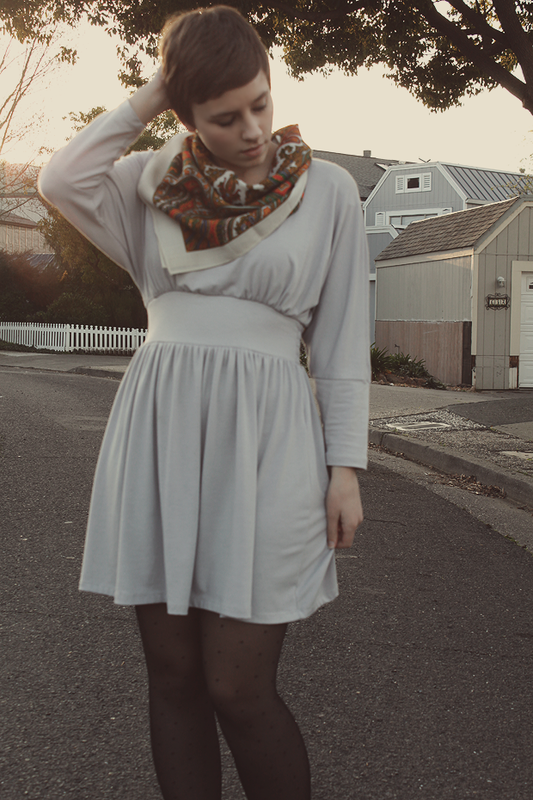 I love this dress on you and think this scarf is perfection. 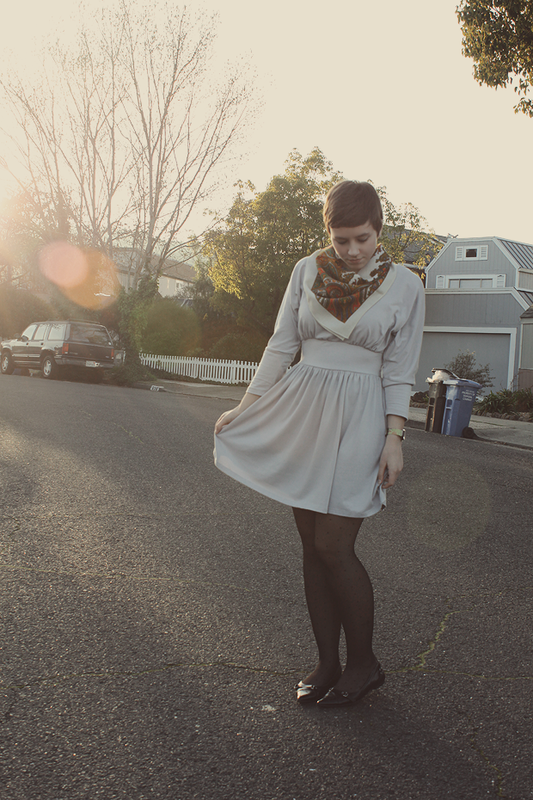 You look so lovely, lady...and I cant get enough of polka dot tights! That dress is such a fabulous shape! And I love the scarf! Your scarf IS gorgeous. I love the dress too! Did you take these with a tripod? It looks like you had it set on a wide aperture (like 5.6 or so). It seems like the lens focused on the houses and not you, and since it was a small aperture, you were out of the plane of focus. Anyway. You look adorable! Goodness, I just love that scarf. The dolman sleeves on that dress are so flattering, too. love this look- beautiful scarf. great song, too! I love flats like those and that is an adorable scarf! i have those tights too! twins :) and i think your pictures are beautiful! don't even worry bout um! 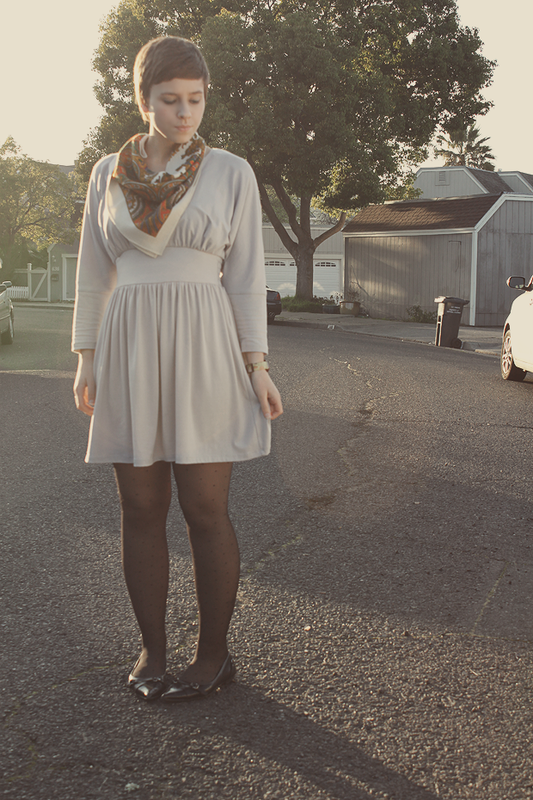 Study breaks for blogging are always good for the brain;) I think you're outfit is so pretty. I love that scarf! I really like this ladylike chic outfit, the scarf is such lovely colours and dotty tights are my fave! i love love that dress! and that vintage scarf is too cute. so pretty, love the pop of the scarf! 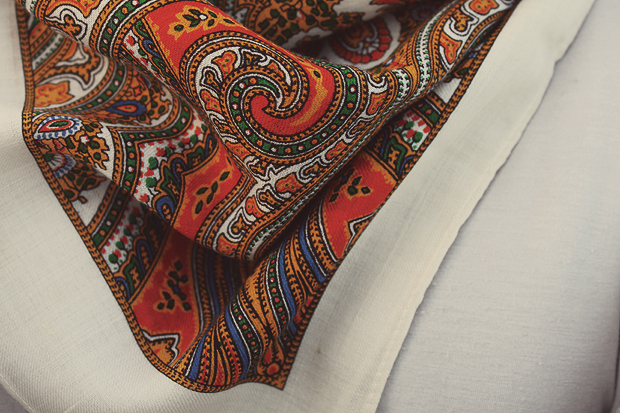 such a pretty pattern on the scarf! youre a doll! i love this! That scarf is just the perfect accessory for this outfit, I love it!